The Glock 17 is the standard 9mm Glock that holds 19 and of course there is still room for one in the chamber. Just like the other Glocks it can take larger mags of the same caliber. 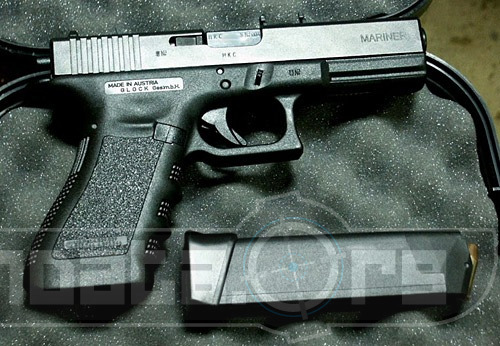 The largest magazine we have seen for a Glock 17 held 33 rounds. That is an insane amount of ammo for this little gun. Some people argue is weak, or that it has over penetration issues, with 57 bullets you are bound to get a critical hit at some point. 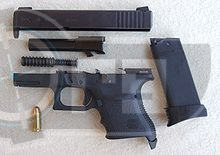 (The # 57 is 3x19 the gen 4's come with 3 magazines while the gen 3 Glock 17 only comes with 2). We purchased this gun for my wife a few years back for her conceal carry, and while it is a bit large for concealment it fits well in her pocketbook. She and i have shot a thousand or so rounds out of the gun with just 1 or 2 jams and these were feed errors when she was learning to shoot it. If you are weak wristed and the gun recoil points the barrel to high in the air the gun tends to jam. Not sure if this is an issue with the Gen 4s, and this has never a happened to me just my wife as she was used to shooting was a little .22 Berretta. 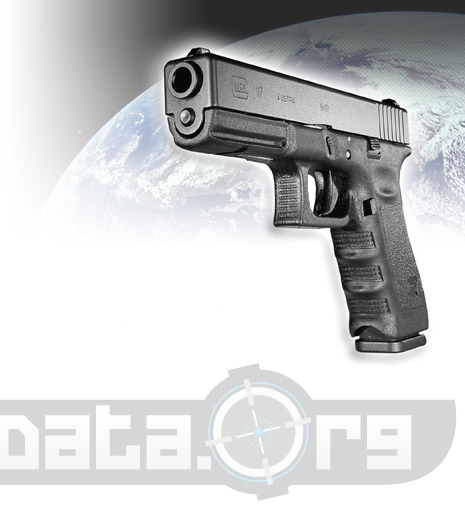 The Glock 17 is a lightweight (22oz unloaded), reliable, and very well priced gun at around $499. The staggering of the bullets in the magazine end up giving you a round or 2 more than other guns of the same size and caliber so that is always a plus. These guns have been tested, and tested, and tested, and have proven themselves in the field. The safety feature or lack thereof may be an issue for some people. They have what Glock calls a "Safe Action" that looks like a mini trigger within the trigger. If the mini trigger isn't pressed first then the gun won't fire. If this sounds confusing don't worry it is not in the least once you have the gun in your hand. The problem is however than if you keep a round in the chamber and you've become accustomed to pulling your gun out by grabbing the grips and having your finger on that trigger you may end up with Glock leg. I won't go into it you may just have to google "Glock Leg" and see what I mean. In summary we can't recommend this gun enough assuming you are safe about "safe action" features and or don't plan to keep a round in the chamber at all times.